Paradoxically, technology is making the globe feel progressively smaller while, at the same time, propelling the business world to grow to new proportions. Would you agree that B2B product and service providers have much to do with this? 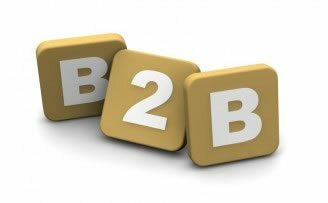 Although B2B products and services are absolutely essential to a business’s prosperity, they can seriously upset a company’s bottom line. Usually, this happens because software providers charge learning management system (LMS) per-user fees. For companies that employ, say, 100 people, this is bad news. But, for companies that employee thousands of individuals, this can be financially disastrous. Thankfully, companies needing essential B2B products and services can find their saving grace in a low-cost eLearning platform. Cost-effective eLearning systems help businesses by giving them tools that simplify training, unify teams and provide central, easy-to-access communication centers, all for one low, flat rate. Unfortunately, many company owners aren’t keen on the idea of implementing an LMS precisely because they know of the budgetary dangers many of them pose. Still, it is the rare company that does not at least wish eLearning were an integral part of its culture. What these companies need are high-quality eLearning platforms that are affordable. Not many B2B services offer such solutions, but some do. An increased ability to adapt to change: 72 percent of companies view learning technologies, the most widely used being eLearning courses, as methods to help employees adapt to changing business conditions. Freed-up time to accomplish critical tasks: eLearning may save companies 25 to 60 percent of precious time when compared to classroom training, according to studies by The Brandon Hall Group. Incredible savings: Companies may save anywhere from 50 to 70 percent of training costs when classroom training is replaced with eLearning, as is reported in the article The Advantages of E-Learning. Decreased employee turnover rates: In the article E-Learning and the Impact on Employee Engagement, Colleen Longstreet and Michelle Winkley report that “23 percent of employees leave (companies) for lack of development opportunities and training. The costs associated with losing talent, including money, lost productivity, recruitment expenses and training investments, have been well documented.” eLearning can provide both development opportunities and training. Could your company benefit from a B2B eLearning solution that won’t break the bank (i.e., does not charge annoying and unnecessary per-user fees)? If so, consider TOPYX, an award-winning social LMS that is exceptionally cost-effective. Remotely hosted and cloud-based, TOPYX has everything your company needs to easily transition to online training. Features like personal profiles, web conferencing, mobile learning, eCommerce, language localization, and learning tools interoperability (LTI) have the ability to help businesses grow at unprecedented rates. Also, the B2B nature of this software emphasizes service as much as product. More often than not, B2B solutions, which exist to serve companies and ensure they reach their full potential, end up being tremendous financial burdens. Companies caught in this difficult situation will find great relief in transitioning to a no-pay-per-user LMS.